Harbour View Kitchen and Bath, your local provider of quality cabinetry, takes a look at how gray cabinets can work well in your kitchen space. Gray’s cold appearance can make kitchen design a bit tricky. After all, this room is supposed to feel warm and inviting. Nevertheless, you can still enhance the look of your space using your gray cabinets. The key here is to match it with wood, a material that exudes warmth. You can also pursue bold colors for greater effect, such as yellows, reds and oranges, to complement with your grays. Conventional kitchen design knowledge points to keeping everything simple as much as possible. That means forgoing too much color that may distract the viewer. When your space already has rich, decorative materials in the form of marble countertops and wooden tables, choose neutral grays for your kitchen cabinets. You can ask our expert remodelers for ideas on this aspect of design. Even so, you can still experiment on a gray color scheme from either end of the spectrum. Choose gray paint with blue undertones for your cabinets to stand out and make your kitchen look bright and open. Alternatively, try darker grays to establish visual contrasts and give your space a somewhat French provincial design look. Give your kitchen a new and improved appearance it deserves with the gray color scheme. 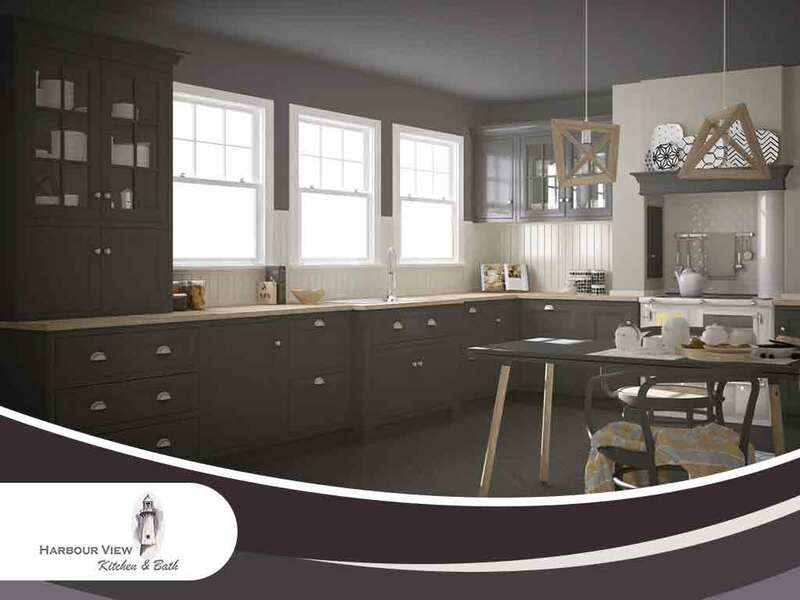 For this, you can turn to Harbour View Kitchen and Bath. We offer a wide selection of cabinets, cabinetry hardware and countertops. Let our design specialists help you in finding the best design that fits your space. To learn more about our kitchen and bathroom cabinets, give us a call at (757) 644-0848. You may also fill out our contact form to schedule an appointment. We serve residents of Norfolk, VA.